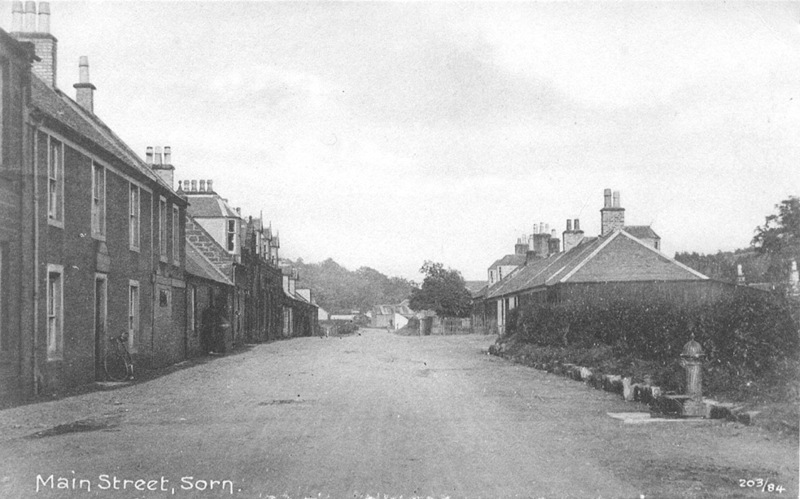 Left: An early view of the main street, taken from just below the Sorn Inn. There is an old bike sitting at the door of the pub. Note the water pump to the right of the image. 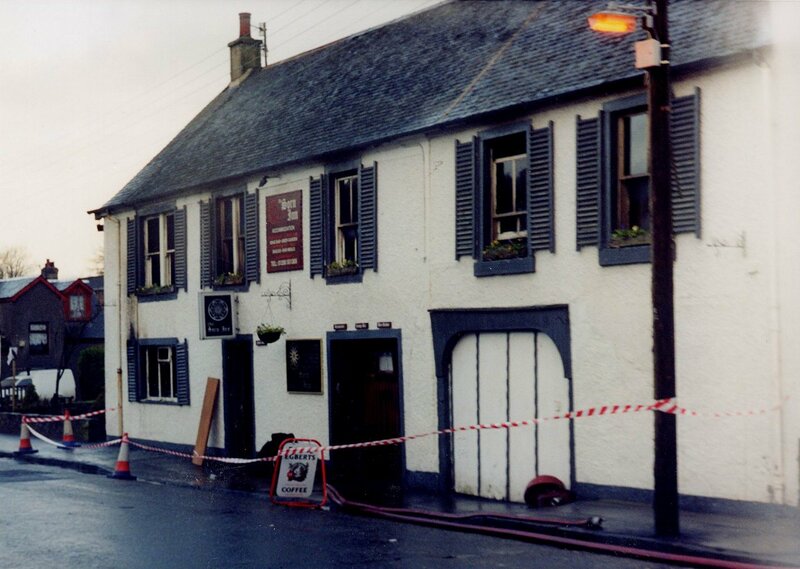 Left: Taken in March 82, in the days when the Tavern's ran the pub. 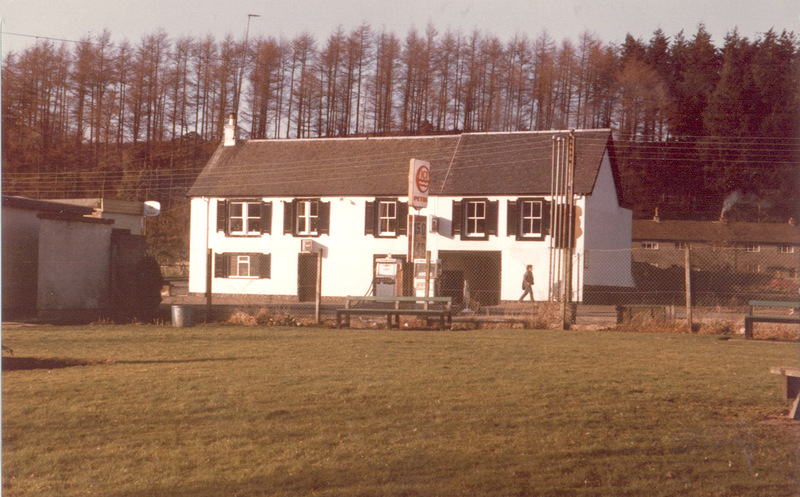 There is no petrol station there now, only a block of houses, so this view would not be possible. 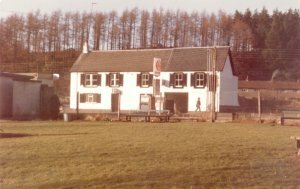 Right: The Sorn Inn from the Tavern's days in the early 1980's. The Land Rover in the car park belonged to "Sam". 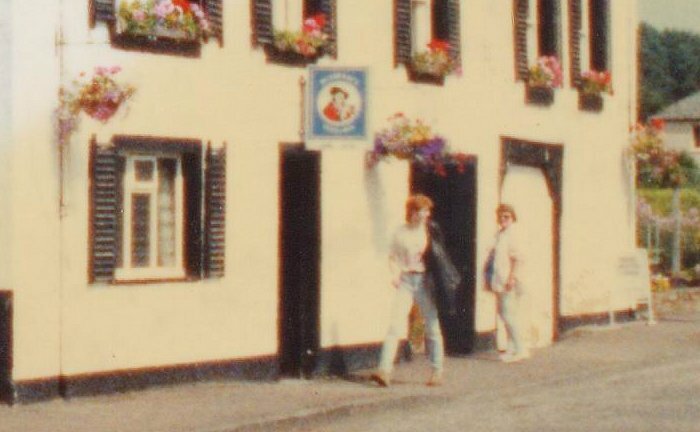 There is a young lean fella walking towards the pub door in this shot, and I feel I recognise him!! I can't think who else it would have been at that time. 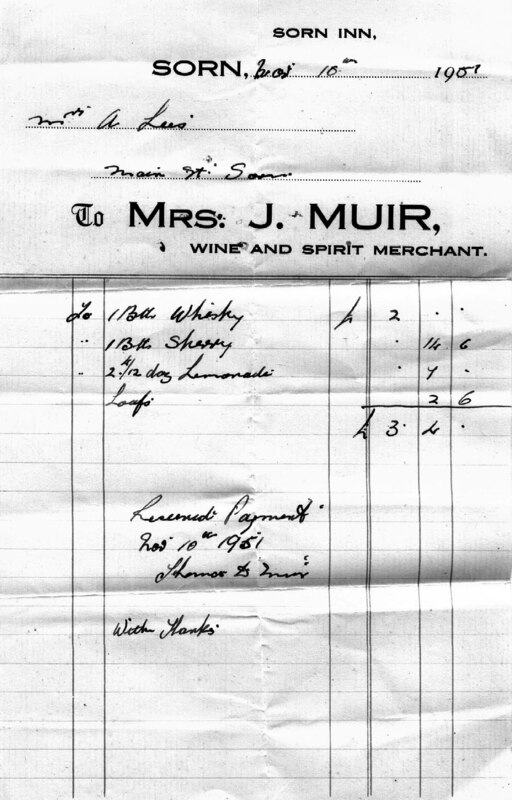 The older images linked to at the bottom of this page come from the days when Tam and Jean Muir were behind the bar in Sorn. This dates from wartime, up until at least 1954. These were all courtesy of Stuart Robertson. Some things don't change much, only the premises visited!! 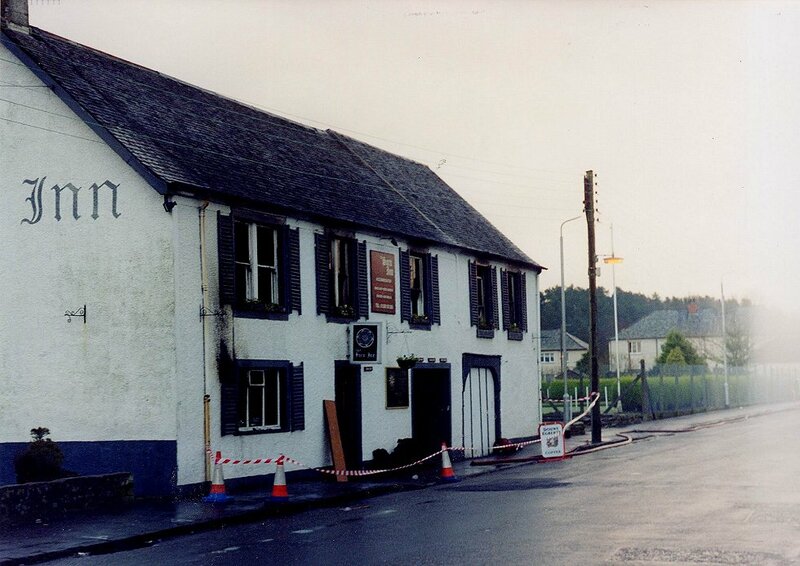 WHO WAS IN THE SORN INN WHEN? 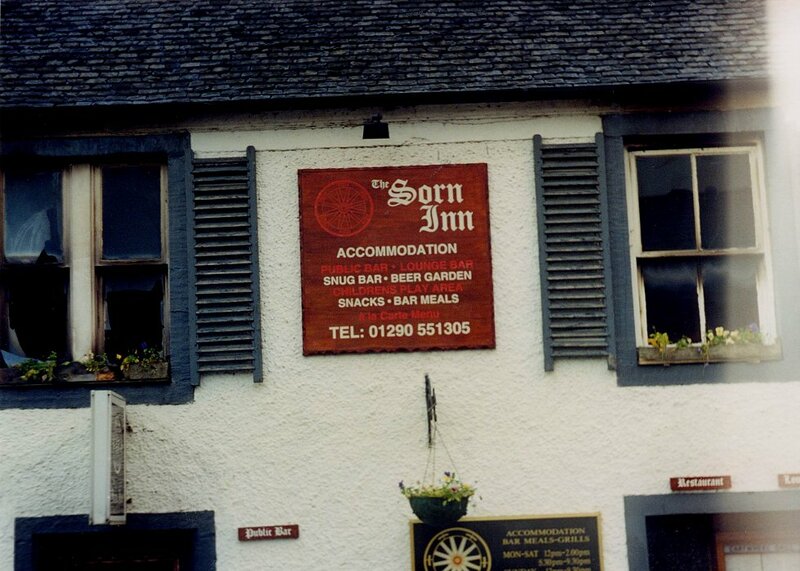 From memory, here are some owners of the Sorn Inn throughout the years. 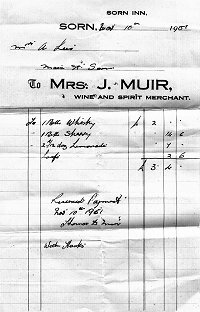 NB: Proper accurate dates are very much unknown at this time, but suggestions welcome. All dates are purely guesswork. 1940 - 1954 - Tam and Jean Muir, (prounounced Mair). Jim was at the Sorn Inn, and later moved on to the Dumfries Arms in Cumnock. I think at one time he was running the two pubs?? 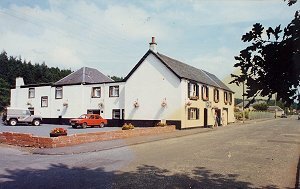 Jim later moved to the Isle of Skye. He would turn up at the Sorn Inn every now and again, and start the tongues wagging. "Aye, Jim McEwan is thinking aboot buying the pub again". He never did!! Davie had the Sorn Hotel buzzing. He also brought in a lot of guest acts to perform in the village hall. He obtained the first all day license in the area for the hotel, bringing patrons from all around the area to Sorn on a Sunday afternoon, when other places had to close up at half past two. 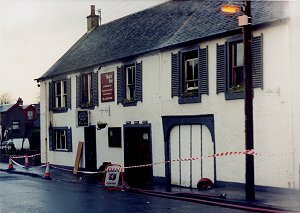 The village hall became a busy place at the weekends, and Davie even had the ceiling lowered to normal pub ceiling height, and made other alterations, including a bar. There must surely be photos of the low ceilings in the village hall somewhere. 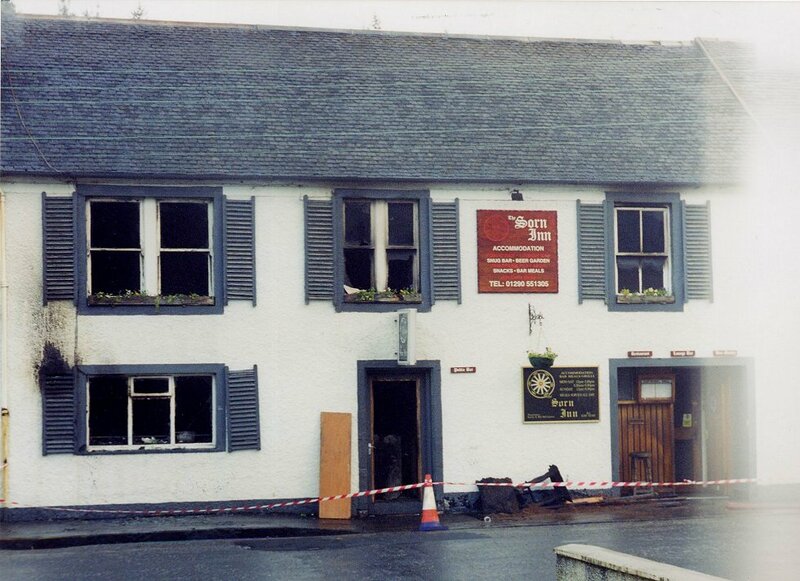 When Davie sold the Sorn Inn, he went on to run K&A's or the Kilmarnock Arms in John Finnie Street. 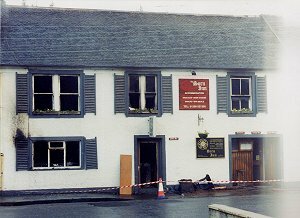 Their partners were the Gisbie's, but later on it was the Tavern's only. 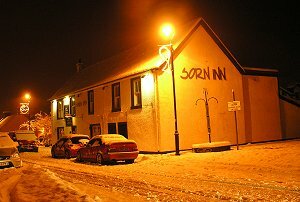 Their first night in Sorn was serving in the village hall at an Autumn (??) banquet by the English Civil War Society. The same guys and gals had been in Sorn that June for the mock battle. English couple, who ended up having various managers in to run the pub, before eventually selling. 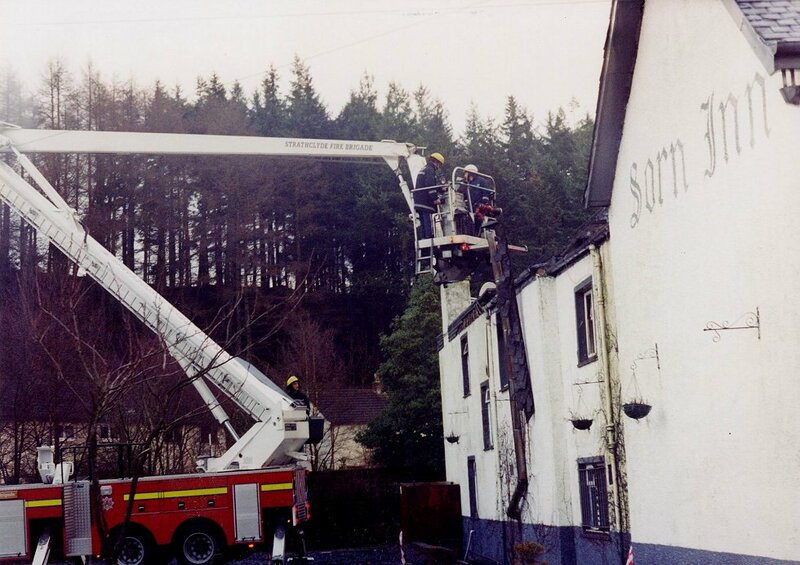 It was in 1998 the Sorn Inn burned down. 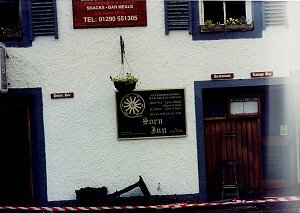 It was reopened in the summer of 2000, still under the same ownership. 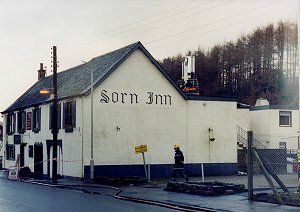 SORN INN - 1998 - THE FIRE!!!!! 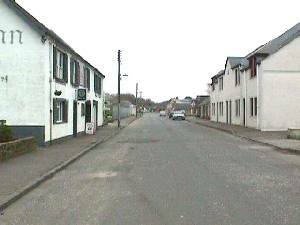 Late in 1998, villagers heard the sound of engines on the street at around 1am. After peeking out from behind the curtains, or whatever, great plumes of smoke could be seen drifting in a westerly direction. The Sorn Inn had caught fire, and was burning down. 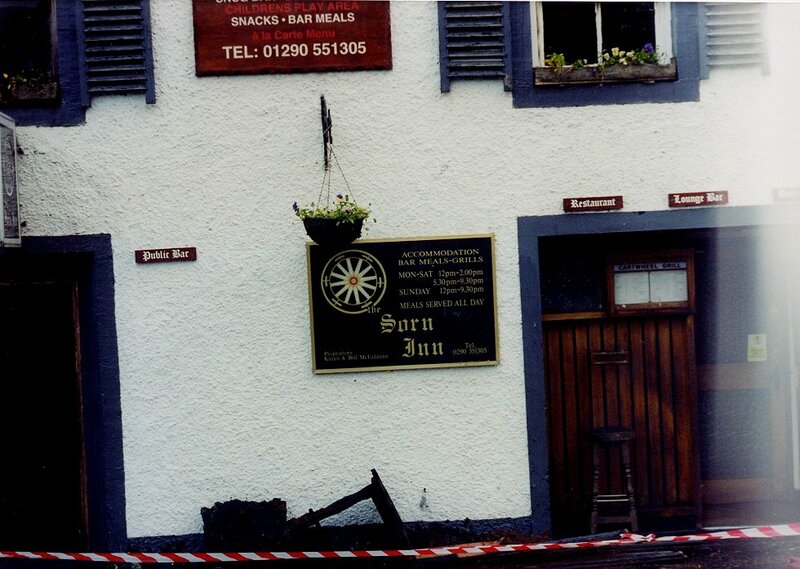 A few photos were taken the next day, possibly by Ian Mason of Catrine. These images were taken of Sorn after the fire of 1998. The left image shows the east gable, which faces the bowling green. This is a superb demonstration of how they added an extra storey to a building. The right hand image is from the former pool lounge and dining area! !